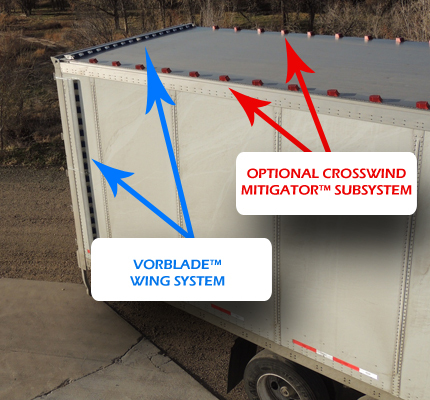 VorBlade™ Trailer Wing System with Crosswind Mitigator™ is the trucking industry’s most powerful solution for trailer aerodynamic drag reduction and improved fuel performance. 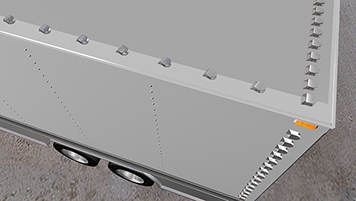 Works great for both dry vans and reefers with swing doors or rollup doors, your ultimate air drag-reduction solution is EPA SmartWay Verified and C.A.R.B. Compliant. 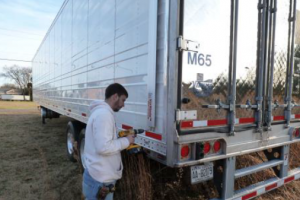 VorBlade Trailer Wing™ System with Crosswind Mitigator™ Subsystem was tested to over 7% in fuel savings, over 50% increase in aerodynamic stability and over 60% reduction in crosswind detrimental effects. 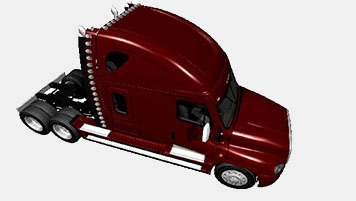 It works best in conjunction with the VorBlade Cab System. 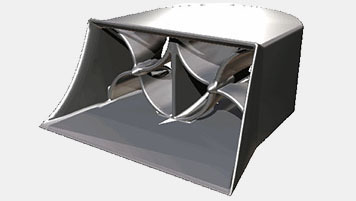 Cross Wind Mitigator™ Subsystem. 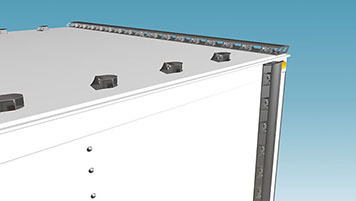 The kit consists of 72 individual VorBlade™ units; each one is 4” long, 3.25” wide and 1.5” high.